June is National Homeownership month, and Monica has a lot to celebrate this year! We told you about her earlier this year when she completed her pre-purchase counseling and moved into the lending process. All of her hard work and determination has paid off. Monica officially owns her own home! She just purchased a beautiful home in Morristown through Clinch-Powell’s Homeownership Made Easy Program! With Homeownership Made Easy, Clinch-Powell helps the borrower to find affordable financing, often without down payment requirements, and uses Federal HOME dollars to purchase and rehab a house to sell to the borrower at an affordable rate. The program essentially enables borrowers who might only qualify for a very low amount to purchase a better quality home that will pass the proper inspections and provide more stability for them in the future, while remaining within their budget. Monica came to Clinch-Powell in 2016 in the hope of becoming a homeowner. She knew she had some credit and debt issues. She was prepared to take the steps necessary to move towards homeownership, but needed some guidance. She worked with Clinch-Powell Credit and Budget Coach, Susan Eribarne, to create and implement a plan that would allow her to reach her goals... And it worked! 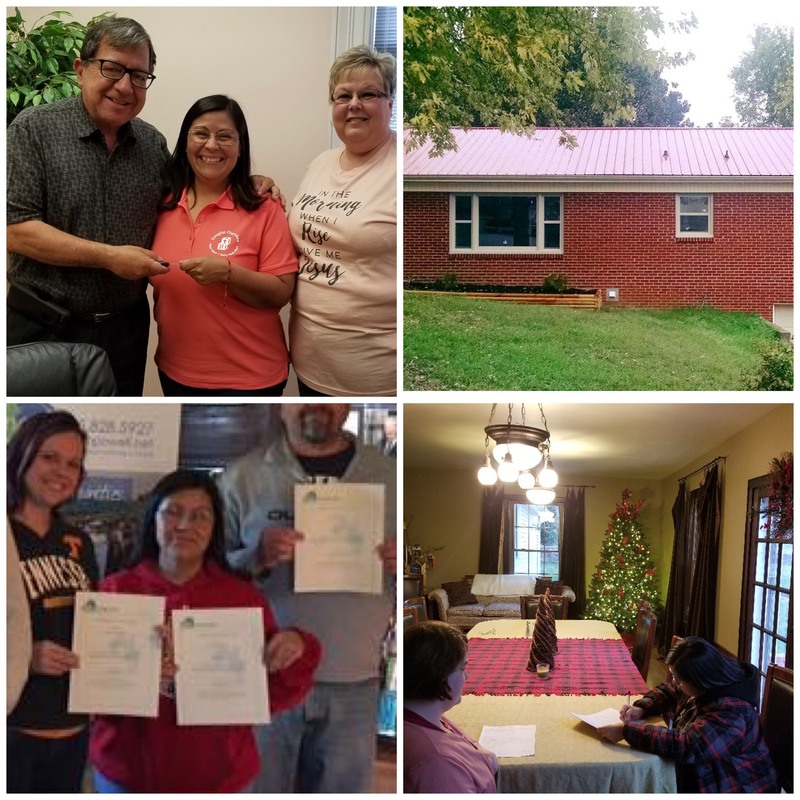 She was approved for her home loan, and Clinch-Powell began rehab construction on a lovely home that is perfectly suited for Monica and her children. This week the dream is a reality. Monica and her children are moving into their first home! Clinch-Powell has been providing housing services since 2001, when we received the designation of Community Housing Development Organization and a HUD approved Housing Counseling Agency. We work with a wide range of programs meeting the housing needs of families from various income levels and walks of life. Contact us if you would like more information about Clinch-Powell programs.